Association of Draughts in Malawi (ADMA) was held 1st Draughts tournament in draughts-64 . Tournament took place at Atupele Executive Lodge, Kawale township in Lilongwe the capital city of Malawi 29-31 of March, 2013. 7 teams having 5 players from each club participated. 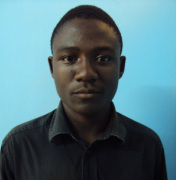 Ganizani Majawa along his team MBAYANI DRAUGHTS CLUB became a new Malawi champion! Ganizani Majawa is a new Malawi champion!